ALLConverter to 3GP is a brilliant tool to convert videos in any format to 3GP. 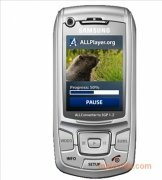 Also known as ALLConverter to 3GP/GSM, the interface of this software is surprising from the moment you open it. Being identical to that of a mobile phone, thus the playback of any video will be viewed just as if we were using an emulator. 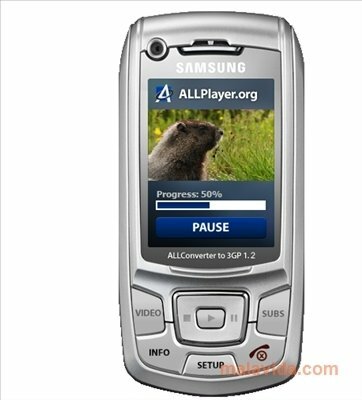 In the representation of the mobile shown by ALLConverter to 3GP we'll find all the buttons necessary to open any video, play it, add subtitles (if we want) and as soon as everything is ready, convert it. Unfortunately, the program doesn't offer us the possibility to configure the conversion, and it is only possible to use three formats to convert video. 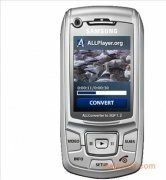 Nevertheless, being able to download a software application like ALLConverter to 3GP for free is a very good way to be able to have the videos of our choice in a format that is compatible with our mobile phone. 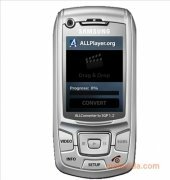 The interface used in ALLConverter to 3GP is very clear, and thus doesn't offer any problem, due to the small amount of buttons and functions that it includes. All in all, it only has those that are necessary to convert videos to mobile format.